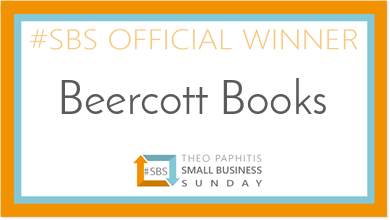 Beercott Books welcome submissions from authors, especially of craft and theatre related books, for consideration for publishing. While we will respond to every enquiry, we offer no guarantee that an idea or manuscript will be adopted and go forward to publication. We have put together this page to offer prospective authors information on how we work with you and support you going forward. As we are a small independent publisher we do not have large reserves of funds, so unfortunately we do not currently pay author advances under any circumstances. Instead we pay what we feel are fair royalties as laid out below. The exact rate at which royalties will be paid is specific to each publication and is a factor of page count, trim size, cover etc. The following would NOT qualify for royalties include: books ordered directly by the author, books given away as promotions or for other reasons such as legal deposits. Any books ordered by the author would be subject to a discount similar to that received by retail outlets (currently 35-40%), but would be subject to postage costs. Royalties will be paid quarterly in arrears. So for example any royalties due on books sold Jan-Mar would be paid by mid July and so on. The 90-100 day gap between the end of the quarter and payment is so that we can get accurate sales information and payment from our distribution partner which can lag behind actual sales dates. You will be issued with quarterly statements which will show a breakdown of types of sale and the royalties earned. We will reserve the right to hold back a percentage of royalties due to cover any returns, and any necessary adjustments will be made on the following statement. We may also apply a minimum payment amount, currently £40 GBP, under which royalty amounts due would roll over to the next quarter. If in the following quarter royalties earned still do not amount to more than £40 GBP then they will roll over again. In any event, any amounts due at the end of the final quarter of the year would then be paid in your final statement of the year even if the minimum amount had not been reached. This payment would be made by the end of February at the latest. We reserve the right to vary the retail price of the publication due to variations in production costs. In order to keep costs to a minimum and help save the planet, we will be using the latest print on demand (POD) technology to deliver books, which means books are only printed when they are ordered so there will be no large stock-piles of unsold books. Producing books in this way does not affect where you publication will be available as we use two of the largest wholesale distributers in the UK. Books will be available through all good book shops either in-store or on-line, as well as on our website. As well as physical books, we can publish in e-book format.